In today’s modern world just about everything can be achieved by connecting to the internet through a PC, therefore we at Academia De Español have collaborated with our partner FIDESCU and now offer Online courses for general Spanish for all the levels of CEFR viz. A1, A2, B1, B2, C1 and C2. Our virtual classroom has been developed with the aim that, people with no previous knowledge or some knowledge of Spanish can achieve such a level of the language that allows them to make use of it in daily life situations, both spoken and written. 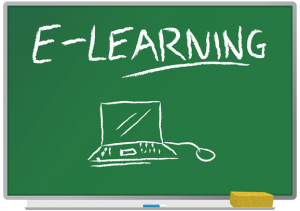 All levels of our e-learning course consist of 8 teaching units, which include videos, audios, various types of exercises, some of them with automatic correction and others which are corrected and annotated by our team of tutors, giving grammatical explanations which are clear, simple and complete. Access to the Virtual Classroom at any time of the day, seven days a week, for 8 months since the beginning of the course. Correction of all the exercises. Individualized tutoring by the tutors of FIDESCU. Globally accepted certificate which will be sent to the student’s home after completion of the course.